I have been preparing for GMAT from last 2 months and it is my second attempt. 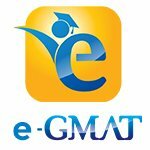 Last september I appeared for GMAt and scored devastating 630 (V24, Q49). Today after preparing for over 2 months I again took GMAT prep exam and stil scored V24. Really feel I wasted my 2 months preparation. I have my GMAt on 29th March. Hi Manisha, you might want to appear in another official mock test asap and if you get a low Verbal score in that exam as well, might consider postponing. Note that you are about to enter the 7 day period before the examination date, after which, postponement would cost you the entire exam fees ($250). Also, which sub-section in Verbal is giving you most grief? If this is the only recent CAT result that we have for reference, then it appears that you're still responding to the Verbal section in the same ways as you did when you last took the Official GMAT. Assuming that's the case, then you are unlikely to hit 700+ in 8 days. As such, you should consider paying to push back your Test Date (although you will have to do that IMMEDIATELY, since GMAC's rules state that you have to log in to reschedule at least 7 FULL DAYS in advance of your current Test Date). 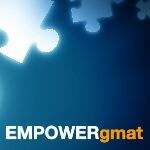 There's certainly no harm in taking the GMAT as scheduled, but you mentioned in an earlier post that you did not want to spend the extra money on an ESR, so I have to assume that you really don't want to spend the money to retake the GMAT again (especially when you can pay to push back your Exam). With the extra study time, we can better define what you need to work on and put together an appropriate Study Plan. 1) What type of study routine have you been following over the last 2 months? 2) What study materials have you used during that time? 3) How have you scored on EACH of your CATs/mocks (including the Quant and Verbal Scaled Scores for EACH)? Were any of these CATs ones that you had taken before? I’m glad you reached out, and I’m happy to help. First off, NO, I do not think that you should give up your dreams of a 700+; however, I do think that you need to reconsider your GMAT timeline, and push back your exam until you have truly mastered GMAT verbal. Since you have been unable to break a V24 after studying for some time, you really need to look at HOW you have been preparing and make some changes, right? Your score of V24 shows that you currently lack the GMAT verbal fundamentals you need for a high score, and thus you need to follow a study plan that allows you to individually learn each verbal topic, starting with the foundations and progressing to more advanced concepts. For example, let’s say you’re studying Critical Reasoning. Your first goal is to master the individual Critical Reasoning topics: Strengthen the Argument, Weaken the Argument, Resolve the Paradox, etc. As you learn about each question type, do focused practice so that you can track your skill in answering each type. If, for example, you get a weakening question wrong, ask yourself why. Did you make a careless mistake? Did you not recognize the specific question type? Were you doing too much analysis in your head? Did you skip over a keyword in an answer choice? You must thoroughly analyze your mistakes and seek to turn weaknesses into strengths by focusing on the question types you dread seeing and the questions you take a long time to answer correctly. Ultimately, if you are unable to learn and practice in the manner described above, you may consider looking for additional verbal prep resources. If you are unsure of which resources to choose, check out some reviews here on GMAT Club. You also may find it helpful to read the following articles: How to Score a 700+ on the GMAT and How Long Should I Study for the GMAT? 1. Take a Verbal Ability Quiz in Scholaranium to get precise feedback on your performance in each topic and question type. 3. Improve upon these areas. It will probably require learning the concepts properly. In the first place. Covering up the major gaps in your preparation in this limited time will help you score better. You can do so using the existing resources or using the resources shared below to help you with Verbal Prep. You can get access to a lot more of these videos and practice questions once you sign up for the Free Trial. If you need further help feel free to reach out to us at support@e-gmat.com referencing this post or PM me your queries. We would be happy to help you.